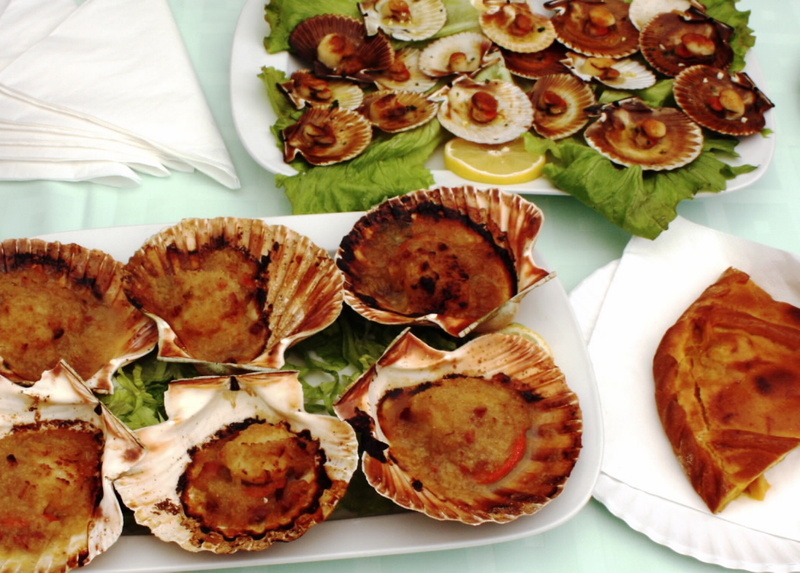 If there is something particular that characterizes the Scallop’s Party, it is that it’s the only festival of exaltation of this mollusk, very commercialized in the port of Tragove (the only Galician port authorized to capture and market scallops). In addition, the party has a wide participative character, as it is organized by different associations of the area. Every year, more than fifty thousand people come here to enjoy the wide variety of activities that take place during the days of celebration, including tastings, gastronomic contests, sporting events, culinary demonstrations, samples of seafaring songs or concentrations of Classic boats. All this, in an enclave of great cultural, architectural and patrimonial value. The Festa da Vieira has been celebrated for almost two decades between 15 and 17 July in the town of Cambados, and since 2013 is listed in the Festival of Tourist Interest in Galicia. In addition, this year will be attended by three chefs with Estrella Michelin, such as Beatriz Sotelo, Leonor Costiña and Inés Abril. Thus, the carp of the Paseo da Calzada will be managed by Beatriz Sotelo, and in it the guests can enjoy the scallop prepared in different ways. The price, as in previous editions, is around 8 euros. There will also be in the showcookings tent run by Costiña and Abril, this being the first time that three women carry all the gastronomic weight of the party. In addition, the program also includes activities in collaboration with Guimatur, an association of shellfish farmers who offers tourist visits to their concessions to explain their work and culture. This year will also promote the event among the establishments catering to the municipality, delivering a box of scallops to those who want to participate in the initiative of committing to serve the product to the customer without cost. They will also be given a distinctive collaborator and a poster from the Festa da Vieira. So if you want to try this delicacy, do not leave your appetite at home and come to Cambados on July 15th, 16th and 17th.